On Sunday May 29th Myokinetics spent the day in Port Coquitlam at Leigh Park to support Port Coquitlam’s Polish Days. 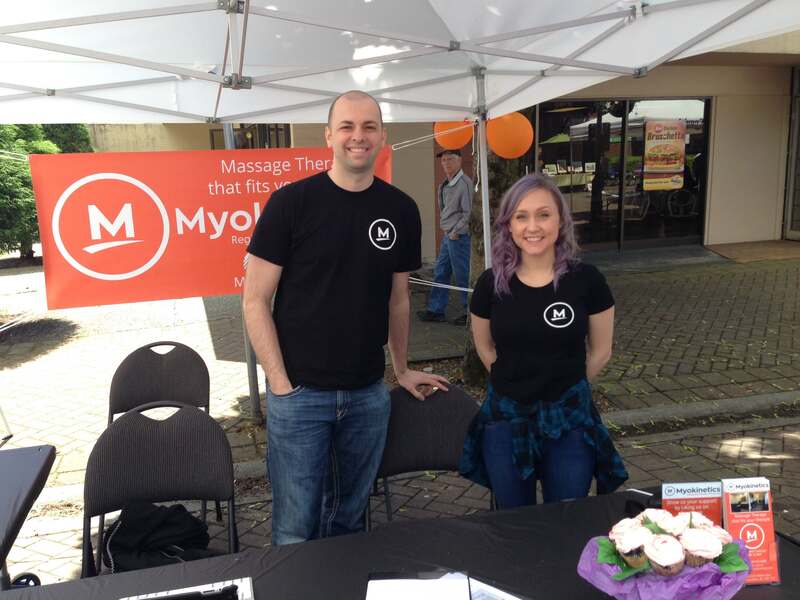 This was Myokinetics RMT’s first community event since the doors opened in January. It was extremely exciting to be at an event that was taking place right across the street from the clinic space. Despite the wind in the morning it ended up being a beautiful sunny day. Set up started early in the morning and was finished just in the nick of time as people started to trickle around the park before the day got busy. Thank you to everyone who came out to show their support for the Polish Community, as well as Myokinetics and all other businesses. The performances were well done and the food line ups were around the block as people waited for tasty perogies, Polish sausages and other traditional dishes. Myokinetics made many people happy giving out lollipops and orange balloons to kids, and two gift certificates for 45 minutes massages! In addition, many people stopped by to say hello and fill out a raffle ticket for a useful Muscle Recovery Kit. 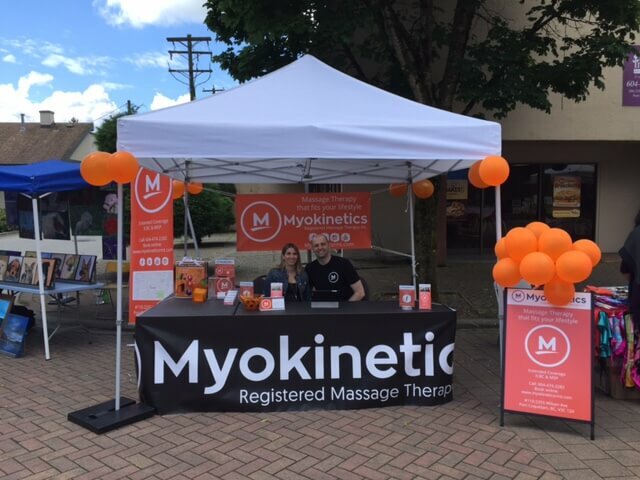 Stay connected on Facebook by liking us at Myokinetics Registered Massage Therapy to keep up with more giveaways, find out where we will be located at the next community event and stay up to day with all the latest news and articles related to health and wellness. Add us on Instagram as well as YouTube to support Myokinetics RMT. Myokinetics Welcomes Kathy Cooper, RMT to the Team Myokinetics helps educate students at Aspenwood Elementary in Port Moody.